Variable annuities are losing favor with investors but they can still be a viable financial planning product under the right circumstances. We remain apprehensive about these products because they carry large commissions – typically up to 8% – and often must be held for five or more years to avoid a surrender penalty. A variable annuity is a contract between you and an insurance company, under which you make a lump-sum payment or series of payments. In return, the insurer agrees to make periodic payments to you beginning immediately or at some future date. These products are usually tied to an investment portfolio, which means the payments you receive can increase if the market does well. While a variable annuity is often a questionable investment, annuity flipping is almost always illegal. Stockbrokers and insurance agents that sell annuities know that flipping is prohibited. Yet many do it anyway. Why? Commissions! A broker that signs up a new client that is already heavily invested in annuities is often tempted to convince their new client to invest in a “better” annuity. That means more high commissions, a brand new holding period and often a hidden surrender charge. Earlier this year two former MetLife Securities brokers were charged by the Financial Industry Regulatory Authority (FINRA) with a scheme to have customers flip a combined total of $21 million in annuity investments. Christopher Birli and Patrick Andrew were both banned from the securities industry after FINRA complained the two had devised a scheme to flip annuity plans of State University of New York employees. MetLife, which was not charged with any wrongdoing, had a policy in place that prevented annuity swaps. To avoid detection, the men allegedly advised clients to cash in their existing annuity contract and then buy another security. After a brief holding period, their clients were instructed to then sell that security to buy a new variable annuity. The two also used personal email addresses. The red flags in this case are obvious. If your stockbroker is recommending a “hot” new investment yet you can’t buy it directly, there is probably something wrong. Birli and Chapin didn’t let clients directly flip annuity contracts for fear that their employer would catch on. The use of personal or third party email accounts is another red flag. 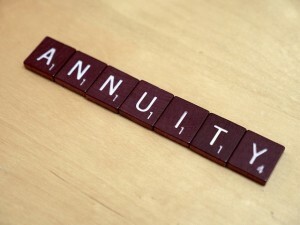 Even if these two red flags were not present, annuity flipping is usually a very bad idea. Get a second and even third opinion. Already lost money because of improper annuity flipping or other stockbroker fraud? Call us.